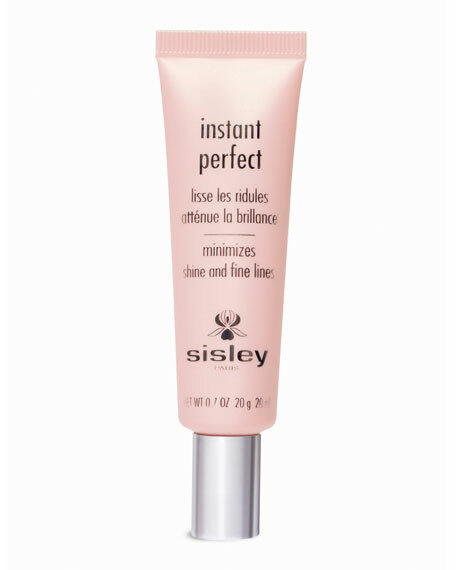 A siliconated gel emulsion with an ultra-soft touch, which acts instantly to erase skin imperfections and highlight the eyes. Its formula combines specific active ingredients for a targeted treatment and highly effective and yet imperceptible corrective foundation. Fine lines and wrinkles are instantly smoothed and filled in. Shine, dilated pores, imperfections and dark areas are reduced. The complexion is radiant and even, the eye area is rested. May be used for quick and easy retouches during the day on areas that tend to shine or need brightening up. How to use: Using light, smoothing strokes with the fingertips, apply locally to the T-zone, wrinkles, fine lines, and dark areas, after day cream and before make-up to optimize its hold.